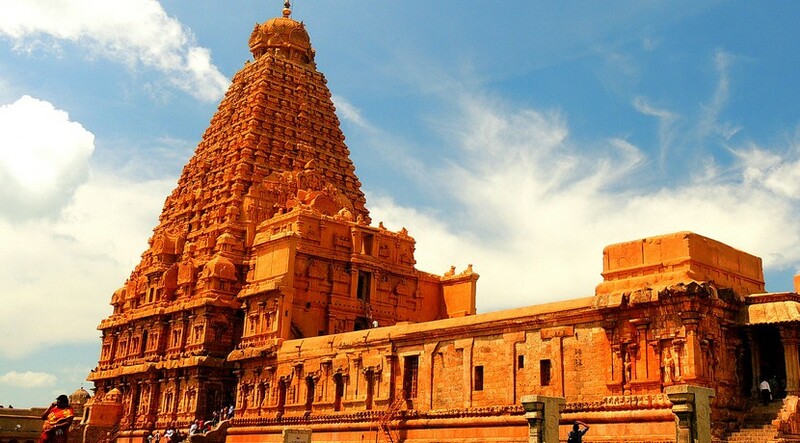 A piece of Dravidian and Tamil civilization can be seen in the face of the Brihadeeswarar temple. It has many different names giving the meaning of “Big temple”. It is in the list of both India’s largest temples and the UNESCO world heritage sites. It is located in Tamil Nadu state of India whose deity is Lord Shiva, the Hindu God. It is a fine construction of the Tamil buildings and the Dravidian architecture and is famous for its big festival called the Maha shivratri. The builder of the temple complex is the Tamil king Raja Chola in the year 1002 from the Chola dynasty who ruled there for centuries. According to the historian the site was built upon an order given to the king in his dream from an unknown source. The building style of the temple is somehow based on a special geometrical system and is according to the ancient writtens. It has columns with more than one faces along with square capitals. The temple truly reflects the wealthiest nature of the royal family. The temple had been used for many religious ceremonies from the first day of its making till now. Only one item had been used in the construction which is fine granite and the temple is the first to be built by the granite. The walls of the temple complex had been furnished with statues and sculptures of human dancing in the classical style of Tamil and animals among which the most famous and attracting is the statue of a bull which has been considered as a religious symbol there. The main temple is in middle of the two big enclosures made up of strong walls. In 2010 the grand celebration of the 1000th anniversary of the temple held there. It is one of the India’s prized winning architectural sites.